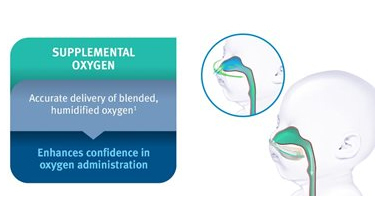 The following mechanisms describe how Nasal High Flow therapy with Optiflow™ Junior works. 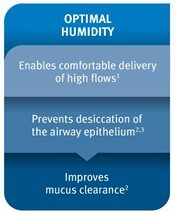 How does Nasal High Flow therapy work? 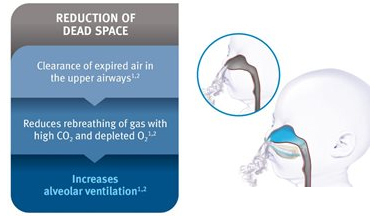 Nasal High Flow therapy enhances upper airway clearance and reduces rebreathing of CO2, which increases alveolar ventilation1,2. Frizzola M, Miller TL, Rodriguez ME, et al. High‐flow nasal cannula: Impact on oxygenation and ventilation in an acute lung injury model. Pediatric pulmonology. 2011;46(1):67-74. 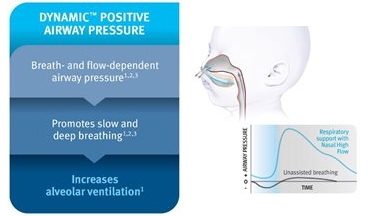 Breath and flow dependent positive airway pressure promotes slow and deep breathing1,2,3. Optiflow Junior can be used to deliver humidified room air or accurately deliver blended, humidified oxygen1. 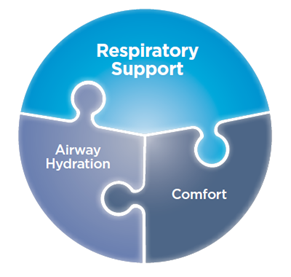 High flows can be delivered comfortably and optimal humidification improves mucocilliary transport and mucus clearance1,2,3. 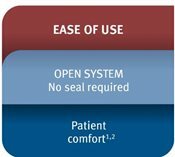 Optiflow Junior is an open system that enhances patient comfort1,2. Milési C, Baleine J, Matecki S, et al. 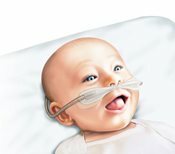 Is treatment with a high flow nasal cannula effective in acute viral bronchiolitis? A physiologic study. Intensive care medicine. 2013;39(6):1088-94..